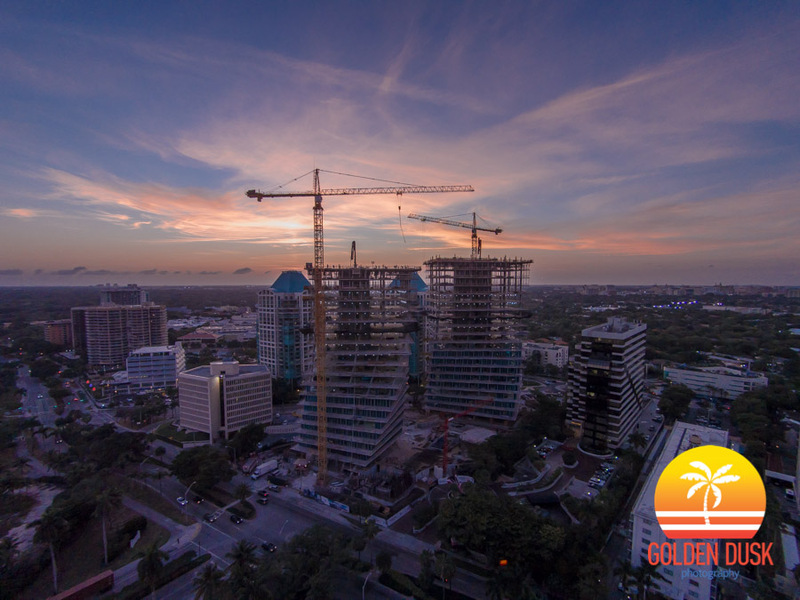 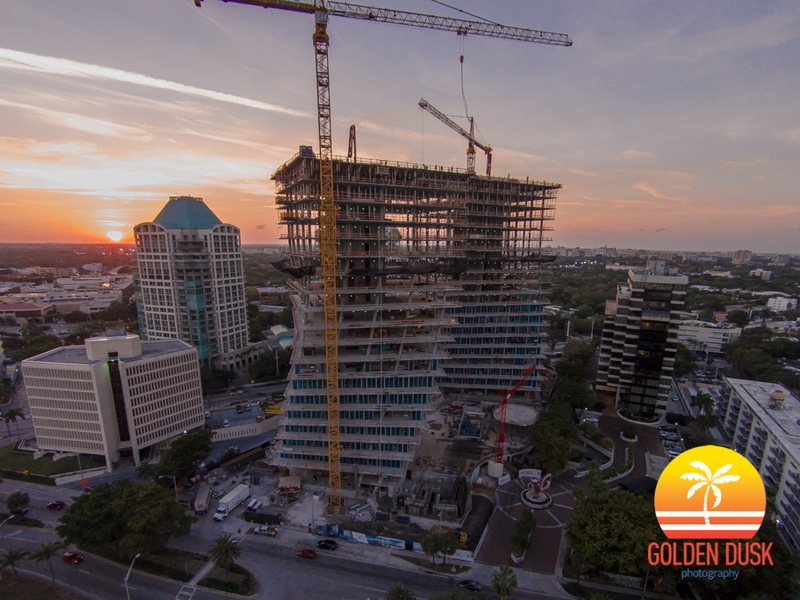 TBT (February 26, 2015) - Four years ago the under construction Grove at Grand Bay was about to top off at 20 stories in Coconut Grove. 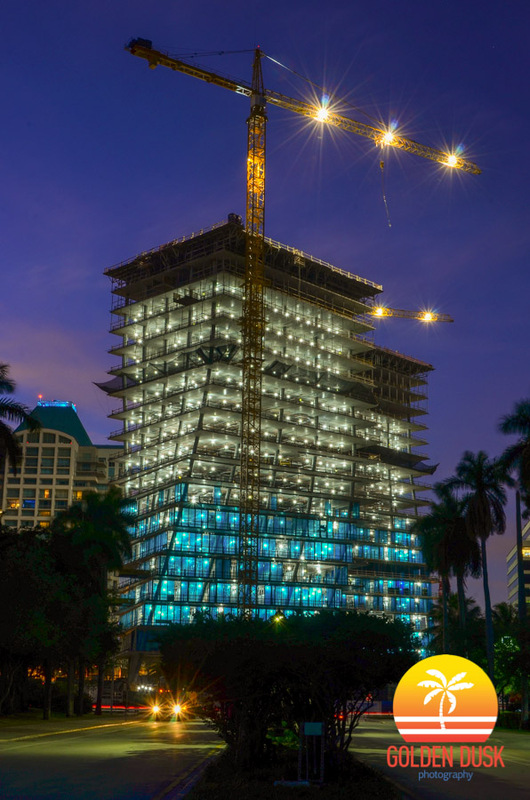 The two twisting buildings designed by Bjarke Ingels would eventually officially top off in June 2015. 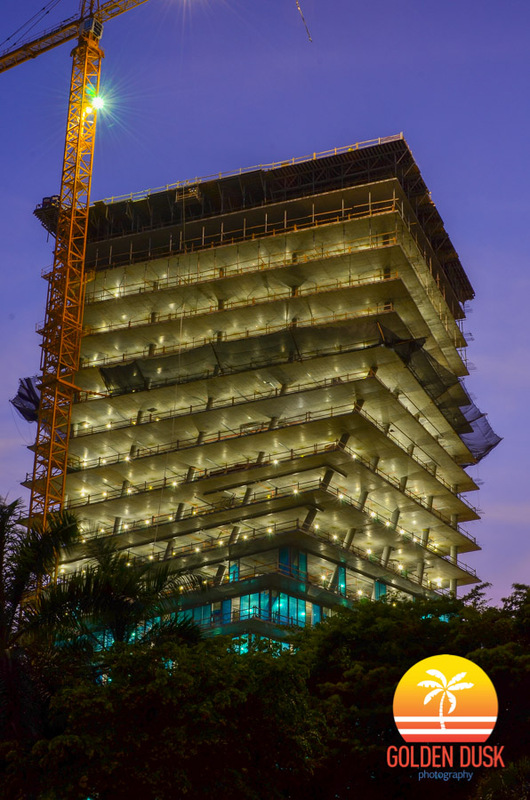 The buildings were completed in August 2016. 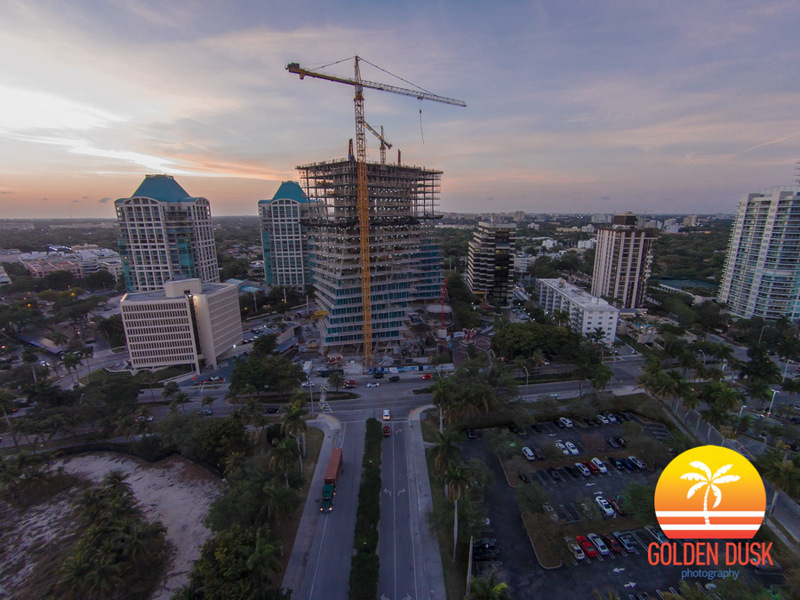 Construction progress photos of the Grove at Grand Bay can be viewed here. 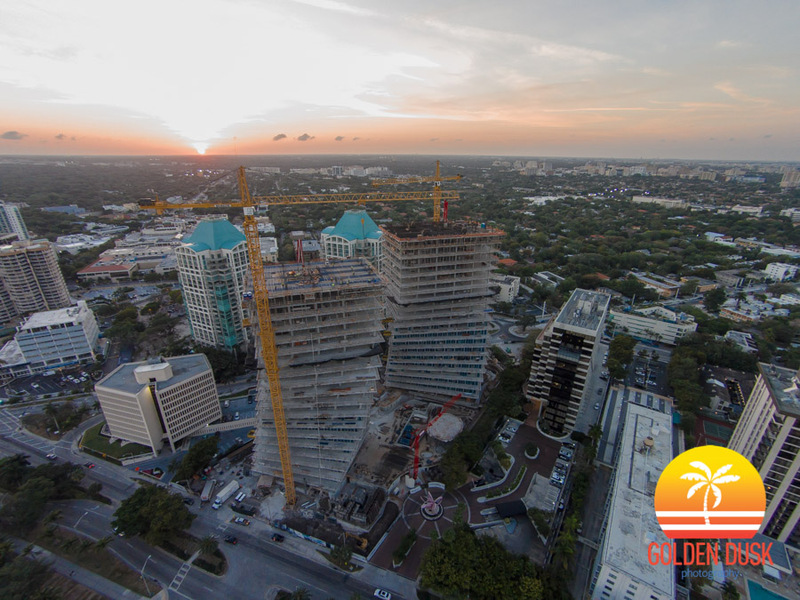 The Grove at Grand Bay is an architectural marvel located in Coconut Grove, Miami. 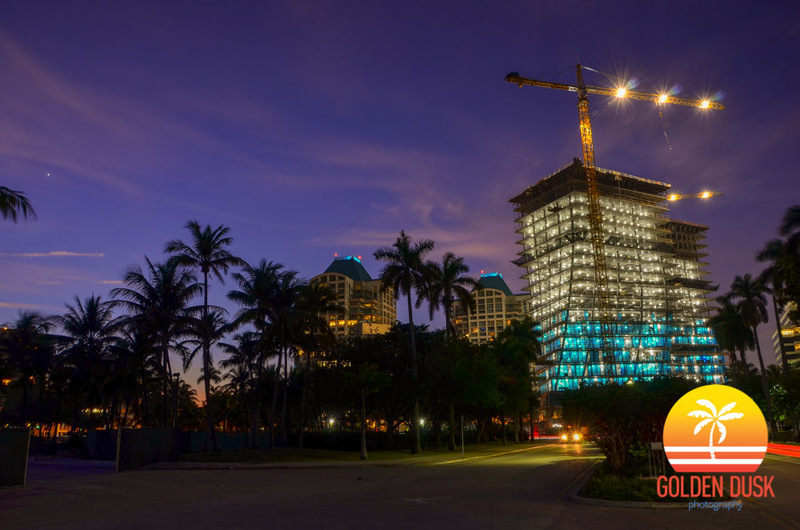 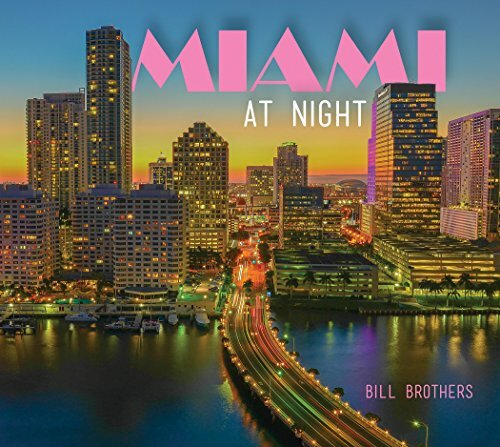 When you drive into Coconut Grove the two twisting towers immediately catch your eye and are gorgeous to look at. 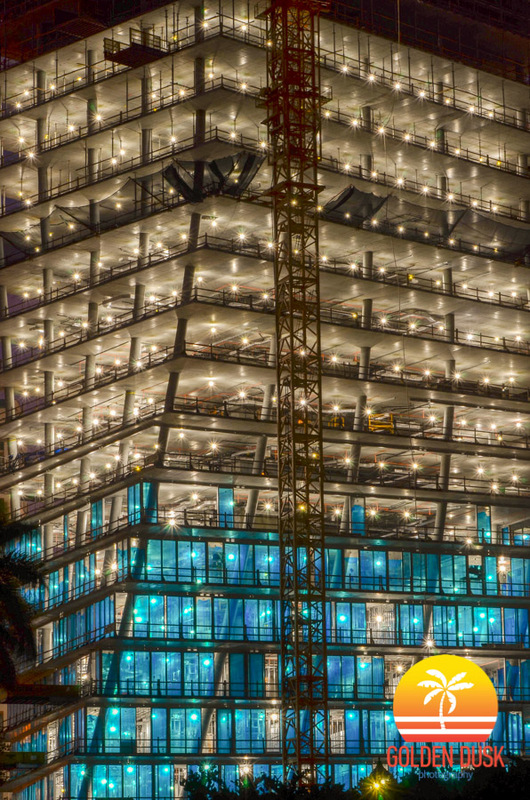 At night is when the towers really come to life and the twisting columns are more pronounced and prominent. 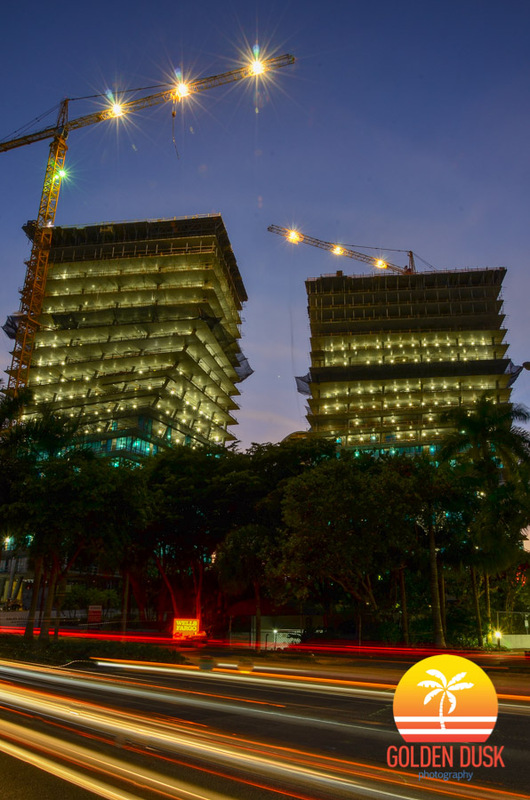 The two twenty story towers were designed by architect Bjarke Ingels and developed by Terra Group. 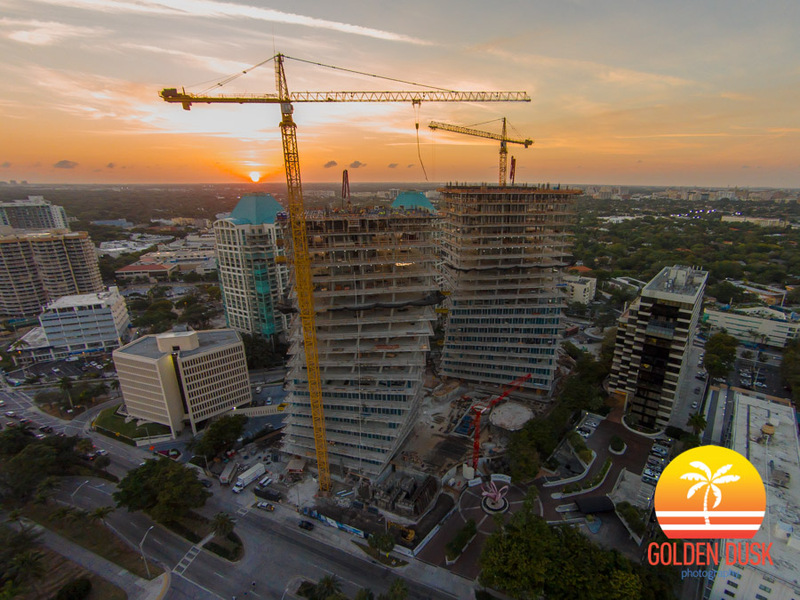 Both the towers are a floor away from being topped out to their maximum height. 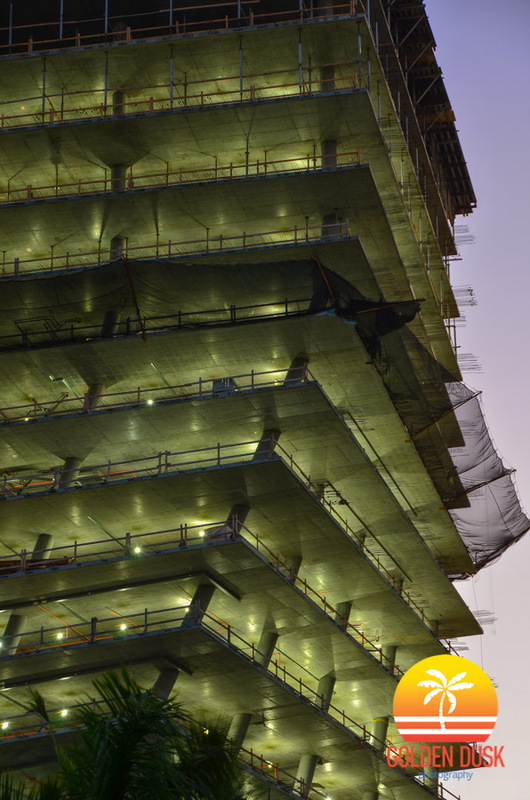 Previous photos of construction can be seen here.